A crystal awards trophy that is out of this world! These distinctive awards, crafted in flawless optical crystal, feature a detailed 100mm diameter globe mounted on a palm-shaped stand with solid base. Stylish and contemporary, they are ideal for international awards of all types. 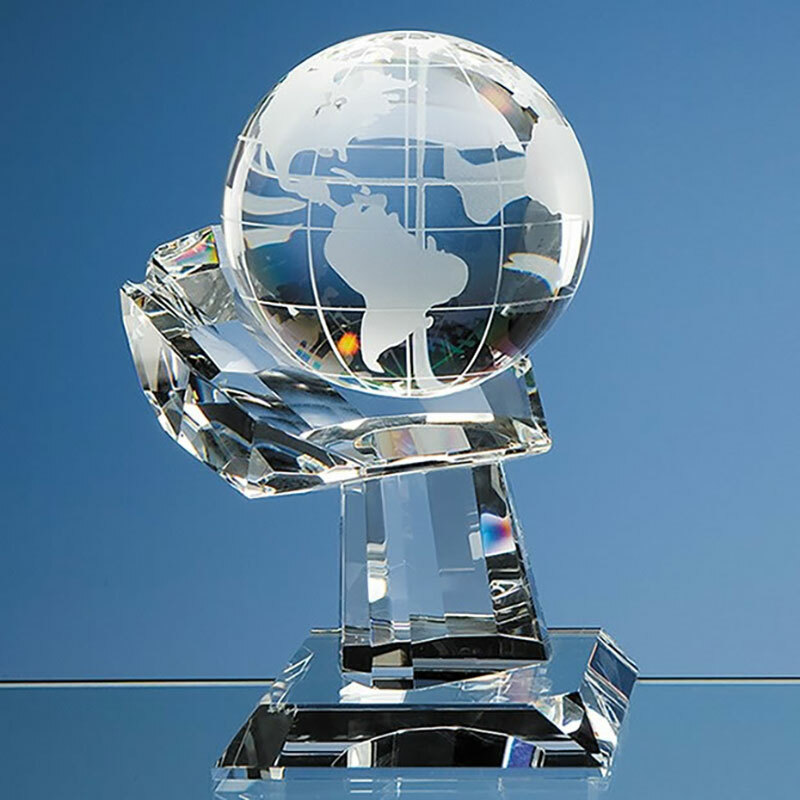 These globe awards are suitable for engraving and are offered with low-cost engraving of text and/or logos from Crystal Awards Supplier.